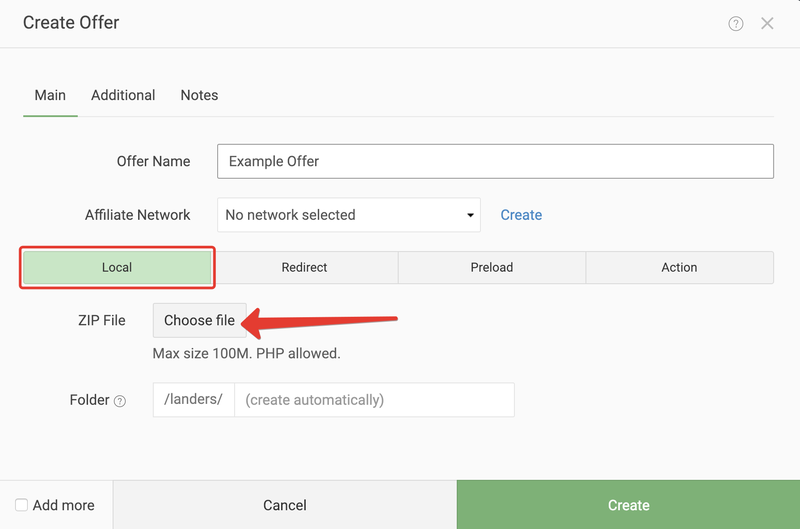 Local Offer feature allows uploading zip-archives to a tracker. The uploaded offer will be opened without any redirects. 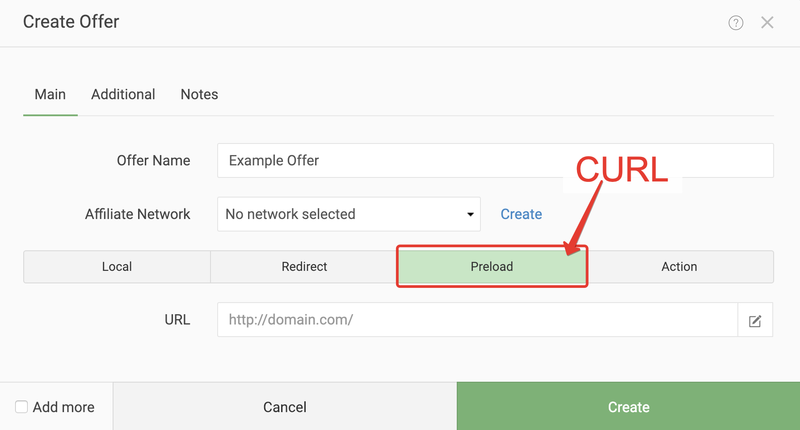 Now you can use “Landing Pages and Offers” schema in a stream together with uploaded local landing pages and offers and visitors will get to the target page immediately without a single redirect. At the same time, the connection between the landing page and an offer in a stream remains the same. The visitors will get to the offer without any inner or external redirects. 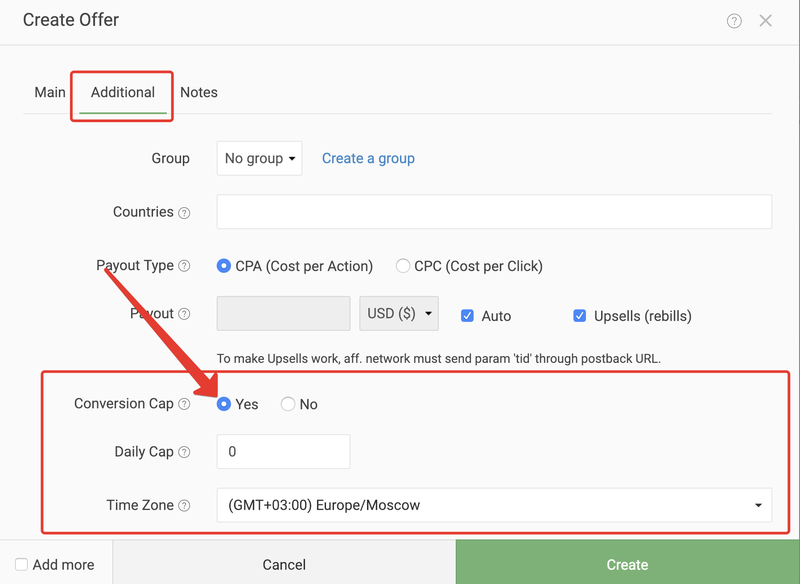 Conversion Cap settings can be found in the Additional tab. The feature is useful when the affiliate network limits the number of conversions which can be received on the offer. Conversion Cap automatically switches the offer to the one chosen. In case you have any questions feel free to reach out or check our Knowledge Database.